Rising youth unemployment, impending triple-dip recession, falling standards of living, the severely disabled stripped of dignity by disproportionate cuts to their allowances. I could go on, for the list of this Tory-led government’s crimes is long. Meanwhile, Labour is doing its very best to make sure I don’t vote for them. 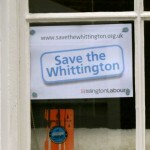 Take our local council by-election, an excellent example of how not to campaign. Starting with the Labour candidate coming round to deliver, in person, campaign literature addressed to my husband. Having made clear that I too would be voting and was interested in local issues, I thought she might at least have taken a note of my name. She didn’t, and a week later another knock on the door heralded another Labour canvasser – with campaign literature addressed to my husband. The canvasser looked wounded when I questioned Labour’s obsessive interest in communicating only with the man of the house. Off he scuttled without explanation – or a shred of interest in my vote. I’ve heard nothing since. Okay, my husband might (depending his mood) have expressed sympathy for Labour when canvassed in the past. But the local Labour machine is ignoring something the most junior intern on an Obama campaign could tell you: turning out the base is important, but it’s attracting independent or floating voters that wins elections. In other words, why wasn’t I wooed? Next problem: the message. The main one, front and centre in the first of those Labour letters to my husband, was disingenuous – at best. 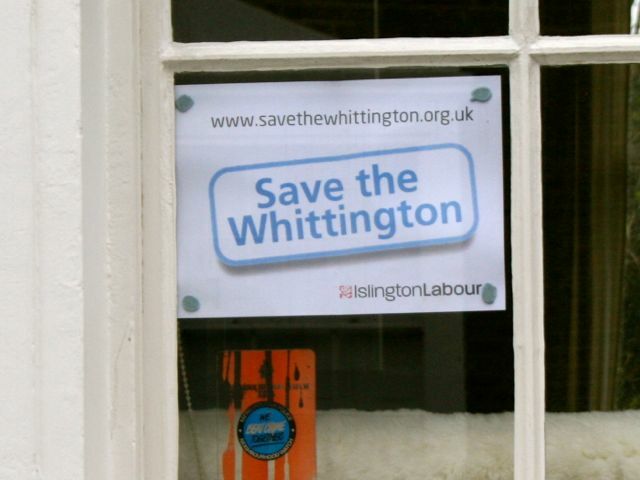 The big issue locally is proposed cuts to beds and services at the nearby Whittington Hospital. But they’re not his cuts to explain. The plans, which include selling off buildings, closing wards, cutting jobs and capping the number of births at the hospital, were made by the Whittington Hospital’s own, independent board. It needs to save £17 million in order to qualify for Foundation Trust status in a year’s time. It’s true, the Tories are forcing all hospitals to become Foundations – which have greater autonomy than ordinary hospitals – by April 2014. But who invented the Foundation concept in the first place? Labour under Tony Blair. 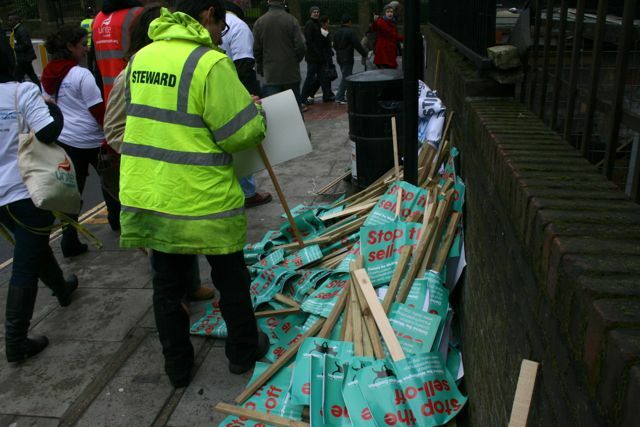 One can argue about whether Foundation Trusts are a good or bad thing – and the Labour Party did, bitterly, when they introduced them in 2002. 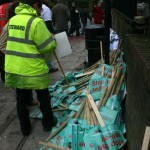 But there is no arguing about the appallingly cack-handed way the Whittington Hospital devised and announced the cuts. They made no effort to explain changes in health care delivery they believe will see far more people treated outside hospitals. They didn’t discuss the benefits of getting rid of dilapidated old buildings, some of which haven’t been used for years. Nobody in the community was consulted about any of it. No wonder there’s been uproar and near universal condemnation. And the local Labour party has jumped on the uproar bandwagon. But a bandwagon is not a vision, especially when it’s not accompanied by any obvious alternative plan. It’s a cheap gimmick that allows the party to side-step more complex problems. This is mirrored nationally where Labour is having a “policy review.” There’s nothing wrong with a bit of a think. But the next election is only two years away. Surely by now the opposition party’s review should have moved beyond what the man leading the review calls “the first phase”? The details of what Labour would do in government aren’t expected until late 2014. They need to get a move on. Labour was never expected to win the Eastleigh by-election last month (they came fourth). But given the unpopularity of the government, surely Her Majesty’s Loyal Opposition should have picked up a bit of the protest vote? But no, Labour’s share of the vote increased by a paltry 0.2 percent over 2010. And it won’t until Labour’s leadership gives its troops the ammunition with which to engage. The Tories, with Lib Dems in tow, are wreaking havoc. Labour must come out and fight. That includes on my doorstep. No more phony wars against easy targets like local hospital cuts – probably the only reduction in services around here for which the Conservatives alone can’t be blamed. I asked the Labour Council candidate why there was no mention of the bedroom tax and other welfare cuts that’ll certainly affect residents of this borough, in her campaign. Two weeks later, I’m still watching. Maybe all the good canvassers are leafletting in marginals… However it would appear that the Labour electoral machine has not learned its lessons from Bradford where such poor (misogynist) doorstep ettiquette lost a by-election (allegedly – http://gu.com/p/36k8m ).